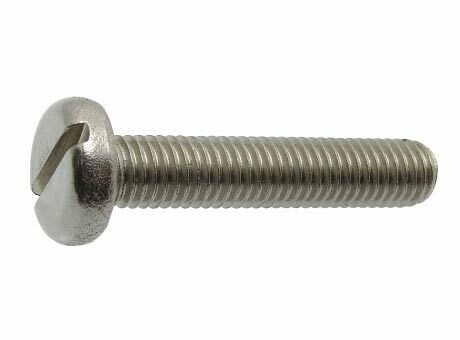 We are ranked amongst the top-most Manufacturers, Exporters and Suppliers of the Pan Head Slot Machine Screws. We are capable of bringing forth the qualitative and experts’ approved Pan Head Slot Machine Screws. We make sure that the Pan Head Slot Machine Screws meet the International Quality Standards. Before final dispatch, we test the Pan Head Slot Machine Screws on various quality parameters. Metric Pan Slot Machine Screws are manufactured to DIN85 and available in 304 and 316 Stainless Steel.